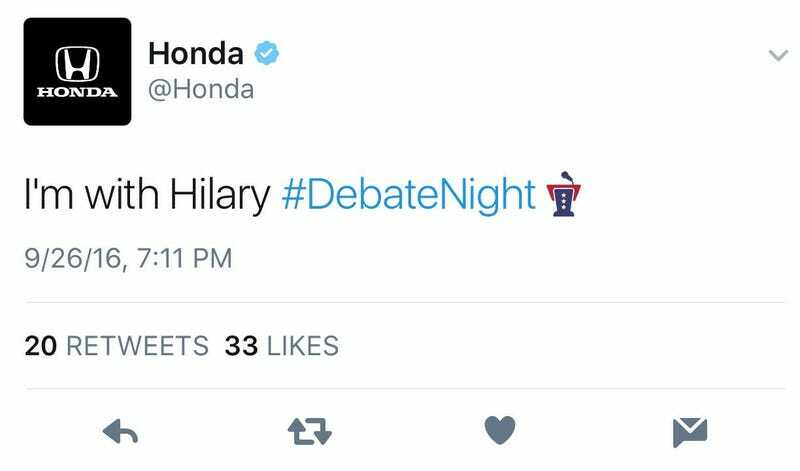 The official Honda Twitter account (@Honda) threw its support behind Democratic Presidential nominee Hillary Clinton for a few short moments during the the debate Monday night, and then quickly deleted the tweet. 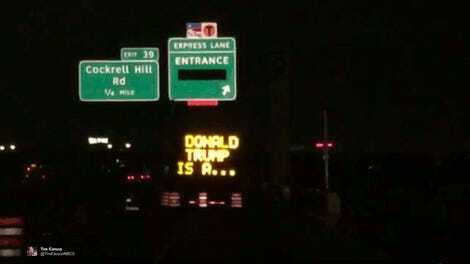 Also Hillary is spelled with two L’s. Honda clearly needs to get a firm grasp on its CYBER.